I am grateful for the response this week to our annual call for giving commitments and pledges toward the work of the Lord here in the coming year. We had a Commitment Sunday this week, taking in commitment cards and encouraging one another to trust the Lord as Lord of our Resources. We are looking ahead with hope at all we will see the Lord do through First Pres in 2019. The response was strong, and we know more commitments will come in over the next few weeks. John Goodale and I were talking about the power of that moment in the service when the trays are set out and we are about to bring our commitments forward. In the service, pastors have talked about the importance of making a commitment, and then we stop talking and sit down and wait. Then someone gets up, walks forward with a prayed-over, thought-filled envelope and boldly makes that first move. It’s powerful for us on the pastoral staff, and I hope you feel it too. It is a bold claim. “I’m in!” it says. “I will stand and say today that I—me and my family—we will commit to see God’s work done in 2019.” How moving. Thank you for your faithfulness. If you missed your opportunity on Sunday, you can set your cards in the offering plate this Sunday or make your commitment online. It is faithfulness and perseverance that allow the fruit to come. 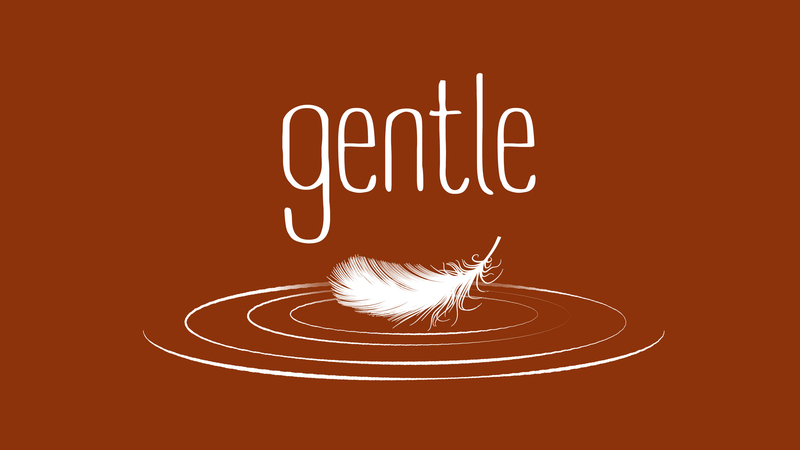 This week we start a short series, Gentle, on the fruit of the Spirit known as gentleness. We don’t make fruit. We don’t mass produce fruit on conveyor belts. Fruit grows in a complex, slow and steady, organic process. It grows healthy and sweet, or sickly and bitter, depending on its roots. But what happens when we live God’s way? He brings gifts into our lives, much the same way that fruit appears in an orchard—things like affection for others, exuberance about life, serenity. We develop a willingness to stick with things, a sense of compassion in the heart, and a conviction that a basic holiness permeates things and people. We find ourselves involved in loyal commitments, not needing to force our way in life, able to marshal and direct our energies wisely” (Galatians 5:19-23). What a brilliant portrayal of the two ways to live! Let’s commit to living in the Spirit, to knowing and tasting the sweet fruit of genuine faith in Christ. Come and be encouraged to stay rooted in the Spirit of Christ, that you too may know love, joy, peace, patience, kindness, goodness, faithfulness, Gentleness and self-control.